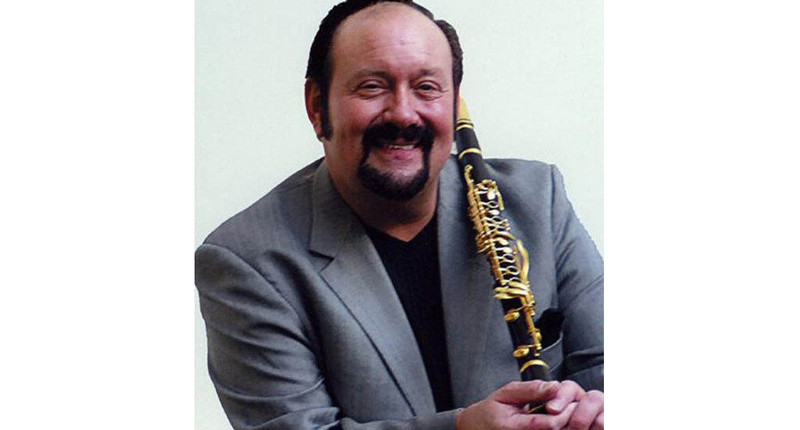 Clarinetist Bob Draga is arguably one of the most popular and talented jazz musicians in the country. A consummate entertainer, he has mastered the art of pleasing an audience with his classy appearance, his seemingly unending list of jokes, and his superb musical talent. He intuitively understands what an audience wants to hear and provides it, whether hard and driving or exquisitely beautiful and soulful. In addition, Bob is a friend to young jazz musicians everywhere, taking time to coach and encourage whenever asked. In fact, the Sacramento Traditional Jazz Society Foundation recently established a scholarship fund in his name that presents cash awards each year to top high school clarinetists. A true jazz clarinetist, Bob’s musical style is equally at home with both traditional jazz and Swing. He even sounds great with a zydeco band! All of which easily explains why he has become a staple at jazz festivals and cruises everywhere. He can handle any musical situation, from top all-star combos to up-and-coming youth bands. He is a veteran of several wildly popular jazz bands, including Garden Avenue 7, which he co-led with vocalist Paulette Pepper, the Draga-Vax Connection, and most recently, the Titan Hot 7. Currently he represents one-third of We 3 and appears frequently with his own quartet. And at many festivals and events, his skills are tested in Guest Artist appearances with a wide variety of bands.